Whether you’re on the go, need a break, recovering from the 4th of July weekend, or just looking for the best coffee roast in the city, I’m here for you. Coffee shops are honestly my happy place and I could spend any amount of time in them. One day I plan to own the cutest little coffee shop that will have non-overpriced avocado toast, macarons, matcha cookies, and other snack recipes that I love (I’m not kidding). 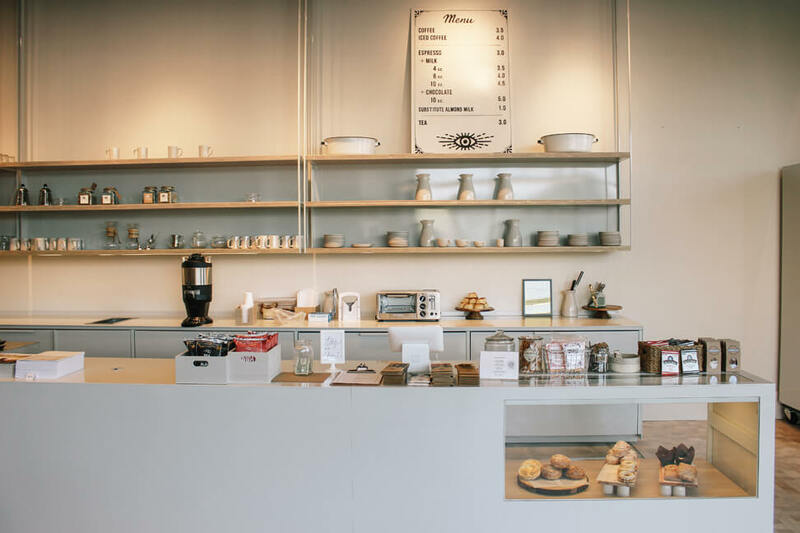 Revelator is in the heart of the Westside Provisions District, one of my favorite spots in Atlanta (it has so many new and amazing shops, restaurants, and other coffee shops as you’ll see if you continue reading). My usual order is a Honey Cinnamon Latte, and it can do no wrong. I put cinnamon on all my homemade lattes, so it’s always my go-to flavor if a coffee shop has it. If there’s honey in the mix, then it’s a win-win. They do have some food options, but they are slightly overpriced IMO. I see Mac Lab sort of as an oasis in a busy, bustling area. I’ve grown up in the Pleasant Hill/Duluth area, and trust me when I say that Mac Lab is the cutest coffee shop I have ever been to in my hometown. They started becoming pretty famous a couple years ago, after people realized that the shop is also the perfect instagram ~aesthetic~. Their macarons are to die for, and their coffee is incredible too. I usually always go for the Rose Lychee, Green Tea, and Oreo macarons (they also have some unicorn-shaped macarons that are so adorable). As for the coffee, their vanilla latte is absolutely amazing as well. If you’re not a coffee person (sorry for your loss) then they have really great tea options as well! CCC is also a famous spot in the metro-Atlanta area, because of its prime location on the Chattahoochee River. You can work inside the coffee shop on comfortable sofas, or you can venture outside and take in the beauty of the river while sipping a latte on their benches and hammocks. Yes, you read that right, there’s a hammock. They have amazing baked goods as well if you’re in need of a snack. The only downside is that it’s not open for the public on weekends because it’s housed in an apartment complex, but there are ways to get in if you’re really dedicated. They have a second location housed in the Westside Provisions District, but if you want the real experience, you have to sit through that 285 traffic. It’s worth it. Although this is a chain in Atlanta, it only became so because of its amazing coffee options and customer service. I’ve gotten a bunch of different coffees here, including my signature vanilla latte, and also their iced chai latte. Both of these options are amazing, and their locations are convenient for anyone who wants to take a break from their office cubicle and walk over – they have locations in Ponce City Market, Buckhead, Midtown, and Decatur as well. The first time I had Spiller Park was when it first opened in Ponce City Market – it was a hot summer day and I desperately needed an iced latte (sorry for the extreme first world problems in this post). I ordered an iced vanilla latte, and was immediately blown away by the richness and flavor. Many coffee shops use syrups that end up tasting fake, but this one tasted like an authentic vanilla latte and I honestly wished I ordered their biggest size. They now have a location in Toco Hills-Decatur, and it’s SO cute! I recently discovered this coffee shop in my hometown after I got really sick of the noise at Starbucks (why is the music so loud?). I walk in and everyone there was on their laptop or chatting with friends, and there was more than enough room to sit. I absolutely love their coffee – and the craziest thing is that they have fall flavors year round like gingerbread and pumpkin spice. Their iced green tea latte is also a must-try, because it’s the most unique one I’ve ever had. In terms of food options, they have lunch sandwiches and other menu items, and also have unique dessert selections such as waffles and honey bread. 10/10. Brash has one of the most unique coffee shop concepts I’ve seen. It literally looks like a small box so it’s surprising that there is an entire coffee shop with baristas inside. Their story is so interesting – it’s actually made from a converted shipping container. I love being a millennial. There’s also a new Buckhead location, with more seating inside + the same menu! This is not as well known of a coffee shop as others, and it’s also a bit of a drive – but it’s SO worth it. Drem has some of the best waffles I’ve had, and incredible coffee. I always get their yogurt parfait waffle and their caramel latte – perfect for a brunch day with friends (my top brunch places in Atlanta are their own list so keep an eye out for that). For now, these are all my favorites. I’ll make sure to update you guys on my IG stories if I find a new favorite in the city! *Disclaimer: I did not take these pictures (except for the last one from Drem).